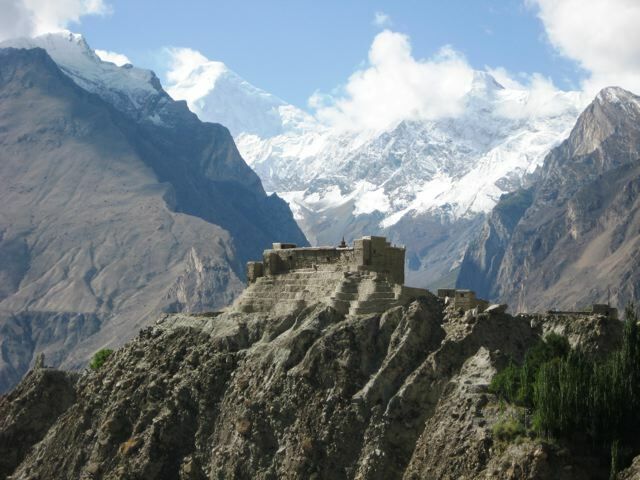 Overlooking the spectacular Hunza Valley, Karimabad is serviced by regular minibuses to and from Gilgit. 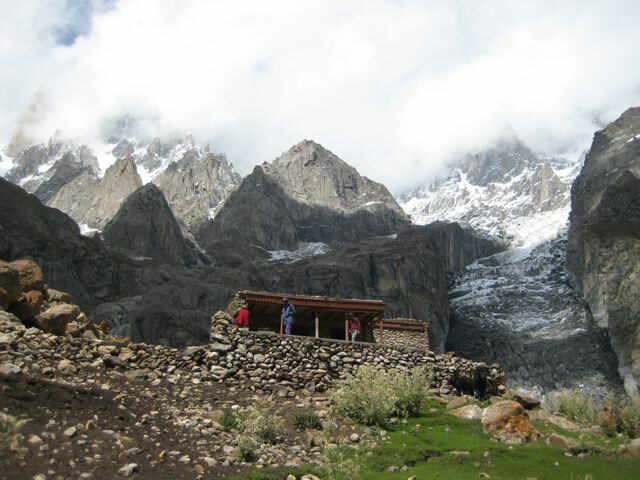 Lonely Planet, Pakistan & the Karakoram Highway, has a basic sketch map and trekking notes. All you need for navigation purposes. That being said, you really don’t need anything at all, as you can see where you need to go from the village of Karimabad. 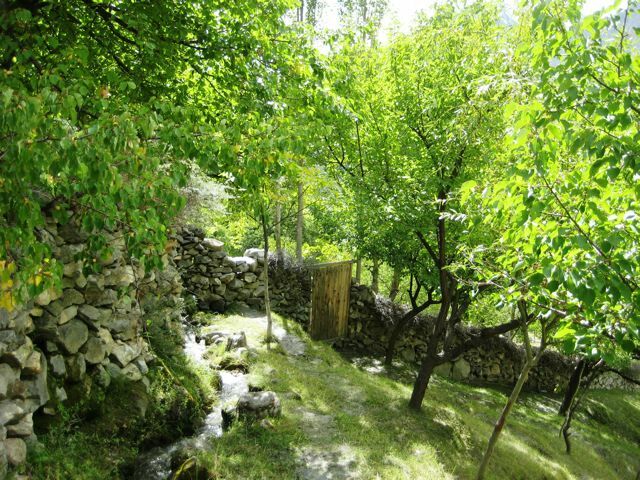 Whilst in Karimabad, don’t miss eating at the Hidden Paradise restaurant. Disregard the somewhat cheesy name; the food at this place is fantastic. Climb north out of Karimabad village (2440 m), passing the spectacularly set Baltit Fort. 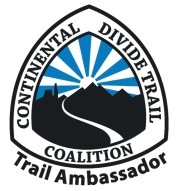 The trail is easy to follow and never overly steep. Continue up through the Ultar Valley until you reach a gorgeously set meadow of the same name. 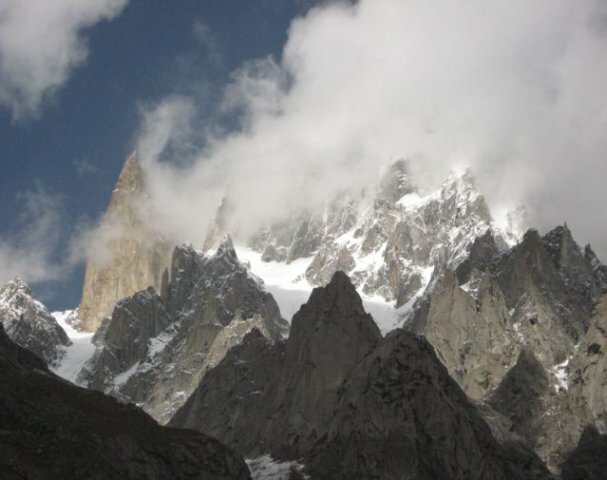 On a clear day you will be afforded spectacular views of Ultar Glacier as well as Lady Finger, Bubli Motin and Hunza peaks. There is a hut situated in the meadow (3270 m) which serves food during the summer months. 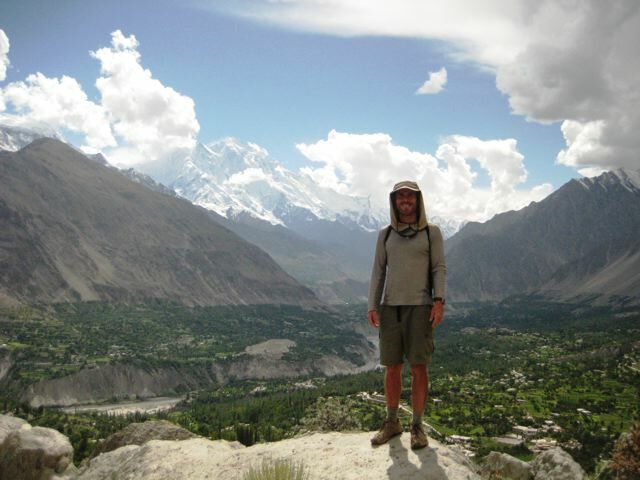 Return the same way, taking in the spectacular views of Rakaposhi peak and Hunza Valley as you descend. There are various good accommodation options in Karimabad. I recommend the Mulberry Inn, where I stayed on and off between hikes in 2008. Friendly staff, clean rooms, great location. You may be able to sleep at the hut/restaurant at Ultar Meadow. If interested, check on current details in Karimabad before setting out. The out-and-back hike to Ultar Meadow packs in an incredible amount of scenery for a very short journey. Karimabad, the walk’s starting/finishing point, was possibly my favourite village in Pakistan. 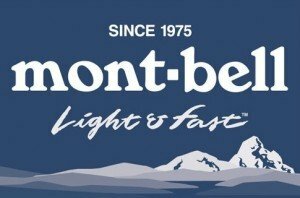 Great food, spectacular scenery and some of the friendliest, most hospitable people you are ever likely to encounter.